I want you to know how thrilled I am to have been named president and dean, Mount Carmel College of Nursing. It is an honor, not only to follow in the remarkable footsteps of President and Dean Emeritus, Dr. Ann Schiele, but to be your representative in the Columbus community and, indeed, around the world. I have already received a very warm welcome from many of you, including the Mount Carmel College of Nursing Board of Trustees, members of the faculty and staff, and students, and it has been wonderful. Over the past few weeks, so many have stopped by to say hello and wish me well. I truly feel part of the MCCN family. Convocation Procession is Colorful, Jubilant! The sound of bagpipes announced a new tradition for Mount Carmel College of Nursing (MCCN) on Thursday, August 14, as our new President and Dean Christine Wynd, PhD, RN, led the colorful Convocation 2014 procession along Broad Street to Holy Family Church, where the ceremony was held. Read more: Convocation Procession is Colorful, Jubilant! 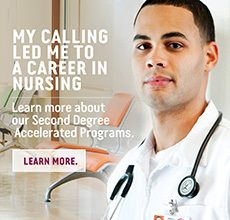 Other degrees/certifications: I am currently pursuing my MSN/FNP through Chamberlain College of Nursing. I am NIH certified; this certification allows me to further assess stroke patients by administering the stroke scale. The next time you’re on campus, be sure to stop by and see the beautiful new History Mural, which was installed this summer in the Health Sciences Library. The commemorative project, which came about through the collaboration of the Development office, the Alumni Association, the Health Sciences Library and President Emeritus Ann Schiele, PhD, RN, depicts a timeline from 1886 to 2014. 2014 Annual Alumni Homecoming – October 11. 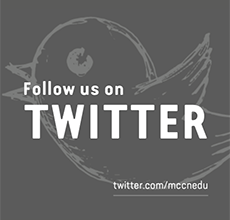 If you haven't received your invitation by Sept. 6 contact Michele Born at mborn@mccn.edu or 614-234-5681. Other degrees/credentials: I earned my MSN in 2013 from Walden University and have been certified in Nursing Professional Development through ANCC since 2009. Are you looking to integrate spirituality into your nursing practice, while serving in your faith community? Faith Community Nursing/Parish Nursing, a specialty recognized by the American Nursing Association, enables you to link your skills as a licensed Registered Nurse while providing holistic (mind, body, spirit) care to congregants. A discounted rate of $300 for the course is offered to alumni of Mount Carmel.